Alan Caron, independent candidate for Maine Governor. Photo courtesy Alan Caron for Governor Facebook Page. AUGUSTA – This week, Maine candidates running to replace Paul LePage as Governor of the state of Maine filed their newest finance reports with the Maine Ethics Commission to disclose how much money they raised and spent in the previous campaign period. Democrat Adam Cote raised over half a million dollars in 2017 and has an advantage of about $100,000 in cash on hand over his closest Democratic competitor, Attorney General Janet Mills. Cote has just under $340,000 cash on hand to Mills’ approximately $230,000. 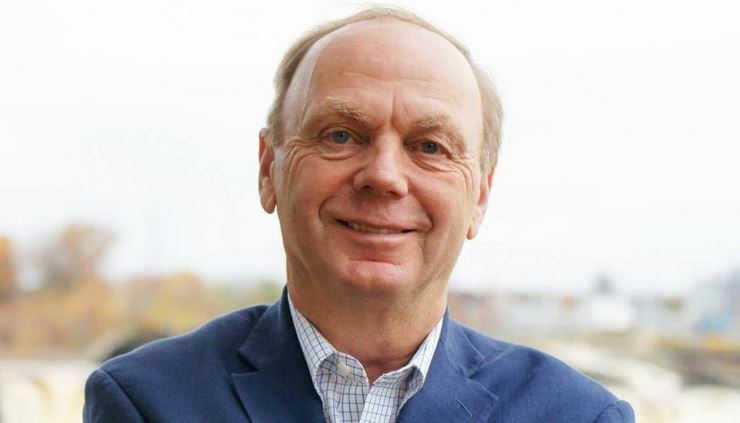 Independent candidate Alan Caron may be a more formidable candidate than some pundits thought, loaning his own campaign $175,000 and borrowing another $75,000 from Kristina Egan. That kind of money plus some name recognition from years writing a column for Maine Today Media combined with no need for him to spend a penny to win a primary put Alan Caron in a position to garner serious support or potentially play kingmaker in the November election. Former Democratic State Representative Diane Russell uses the ride service Lyft a lot! Russell reported 50 individual transactions with Lyft Ride, a ride-sharing service similar to Uber, during the three-month period of this report. Those transactions total almost $650. If Russell keeps up this pace through June, we can see Lyft asking if she will shoot a commercial for them. Russell also has a few transactions for an iTunes subscription, but she’s going to have to pick up the pace if she wants to get attention as the “Apple Candidate”. You can view the full reports of Maine candidates for Governor at the Maine Ethics Commission website for candidate reports.